Hirado: Prince of Porcelains is part of the Enclyclopedia of Japanese Art Series. It provides a comprehensive look at one of Japan’s greatest porcelain factories, which enjoyed enduring princely patronage from the Matsura family, Lords of Hirado Island. The book displays Hirado ware with its subtlety, charm and magnificence in broadly chronological order, summarises documentation on these wares, and underpins these with information about Western collectors, as well as all known Hirado artists’ signatures. The first book in the Encyclopedia of Japanese Art series is devoted to Hirado porcelain and is the only work devoted exclusively to the subject in English. This much needed volume traces the origins of one of Japan’s great porcelain manufacturers from its first years in the 17th century to its closure early in the 20th century. Illustrated with 101 colour and black and white photos, almost all of which are published for the first time, it displays the extraordinary range of Hirado wares originally made exclusively for the wealthy Matsura family. It conclusively demonstrates that Hirado was an important kiln in the history of Japanese ceramics and its widely varied wares rank among the finest made. Within the appendices of this book is a unique and comprehensive section devoted to over 90 marks found on Hirado wares. The eccentric charm and superlative quality of this rare porcelain is admirably displayed in this book by scholar and dealer, Louis Lawrence with an introduction by the renowned collector David Hyatt King. 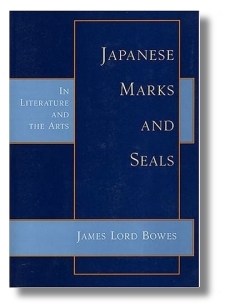 Japanese Marks and Seals by James Lord Bowes, Floating World Editions 2003, has just been released by Amazon.com and is an essential reference for those serious about trying to read the markings on Japanese porcelain. First published in 1882, it has translations of hundreds of markings use on a wide variety of Japanese products, with the vast majority devoted to porcelain and pottery. Only $35, and I say only because the hardback, long out of print is $300+ when you can find it. Text is in the public domain, so it can be freely reproduced without permissission. Limitations are that no markings after about 1865 (some later, but none later than 1882), and no photos or drawing of the pieces that contained the markings with only very minimal descriptions. However, it is a very good reference book. Meiji Ceramics represents the first in-depth study of the development of Japanese export porcelain against a highly charged background of political, economic and cultural factors. Includes 180 artists’s signatures. Text in English. In 1854 Japan was forced to open its doors towards the world after 260 years of isolation. Wide receptiveness to everything Western was the driving force behind the modernization of Japan initiated by the Meiji government, yet it also induced a rapid rediscovery of indigenous cultural values. At early Paris and London international exhibitions, the Japanese decorative and applied arts sparked off the Western fascination with all things Japanese japonisme. In Japan, on the other hand, new technologies were eagerly adopted the government realized that increasing production for export would be an excellent means towards Japanese economic growth. 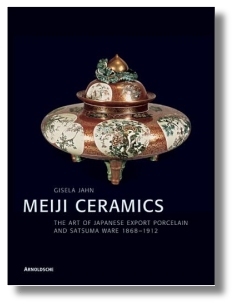 If you are looking for just one book that deals with Japanese export porcelain on a little deeper level than just the items per se, I think this would be the one book to go for. This is really a price guide and although it is about 30 years old and the prices are off, it is still a great book with lots of great information. You should easily be able to find this second hand at about $30. This recent and very fine book is the book of choice for the advanced Satsuma collector. Both the strength and the weakness of this book is that it concentrates on top end pieces from 1870 to 1915, from the very good and great Kyoto makers and artists. It has a good marks section too, but only for these artists. It featured some of the finest examples from Kinkozan and Yabu Meizan. Each piece is beautifully illustrated and described, some fold out sections showing full panoramic views of the decoration. 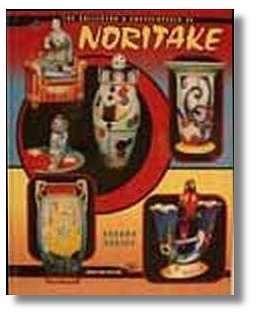 Solid reference book for those interested in specifically Noritake porcelain. 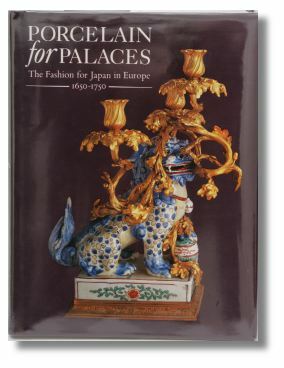 Porcelain for Palaces: The Fashion for Japan in Europe 1650-1750 by John Ayers, Oliver Impey, JVG Mallet et al. This is an exhibition catalog written by some of the best scholars in the field and is to be considered the standard work on early Japanese Export porcelain. It is published by the Oriental Ceramic Society in London. The pictures are perfectly wonderful as they should in such an important reference work. 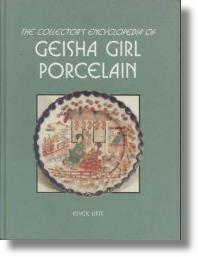 The best book ever published on, and a necessary reference book for all who collects or have an interest in, Japanese Geisha Girl porcelain. A valuable reference also for Japanese export porcelain in general.